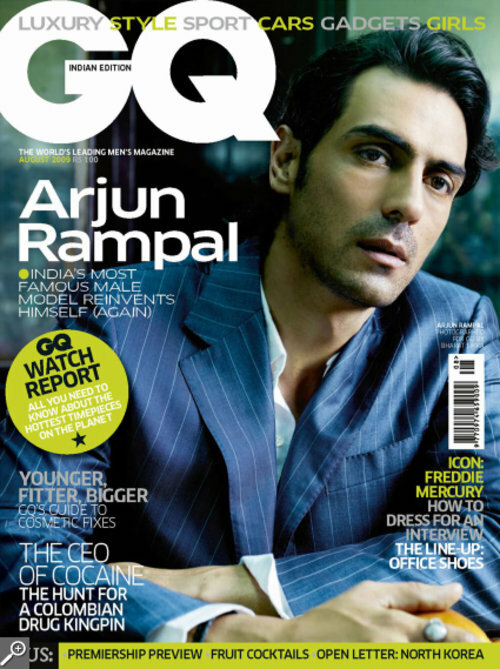 Why not put the most handsome man in India on the cover of the desi version of GQ? 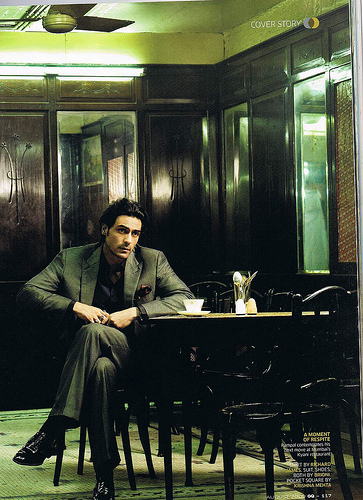 If Arjun Rampal looks natural in front of the camera, it’s because he modelled before hitting the bari screen of Bollywood. He was discovered in a discotheque (nightclub on this side of the world) by Indian fashion designer, Rohit Bal. It wasn’t until 2001 that he appeared in his first film. He now not only acts, models every once in a while, runs a restaurant in Delhi and a production company with his Miss India/supermodel wife in this life, Mehr Jesia. With all due respect, Mrs. Rampal, he’s mine in the next life. Images courtesy of GQ India.